The tennis team at AHN was first established in 1974. 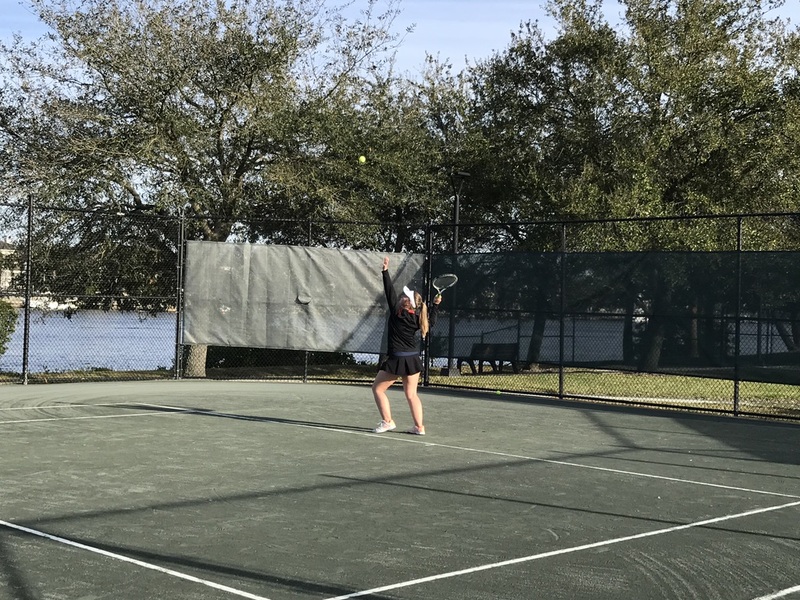 On January 22, 2018, the AHN Tennis Team tryouts were held from 3:30 pm to 5:00 pm at the Sandra Freedman Tennis Complex, which is off-campus as the Academy solely has two tennis courts. 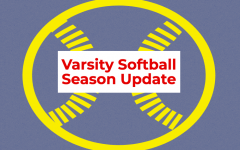 The tryouts lasted until January 25, the day those who made the team was announced. 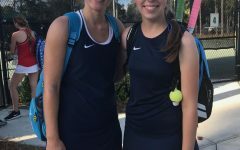 AHN’s Tennis Team has not advanced to the state tournament since 2015, but Quinn and the players have high expectations for the coming season. 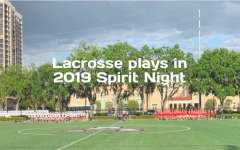 The tryouts were held towards the end of January, not earlier or later, because all schools in the Florida High School Athletic Association (FHSAA) must follow the same calendar. Not only has the limited amount of positions (10) available on the team come as a shock to veterans, but the tennis team is being led by a new coach, Robert Quinn. In total, 15 students tried out. 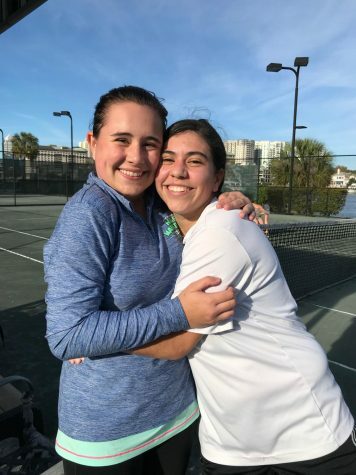 Caitlyn Asher (’19), left, was on the tennis team last year and will be returning to play her final tennis season for AHN. 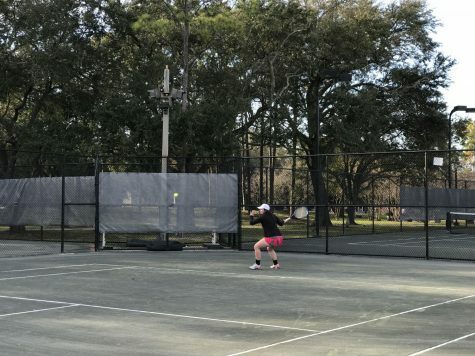 Quinn has previous coaching experience as he was the boy’s tennis coach at Plant High School for four years, and he hopes to continue and build upon AHN’s strong history in the tennis program. 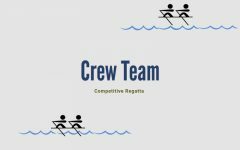 The athletes played several matches against one another, consisting of one set each which narrowed down the prospects, depending on who won or lost. 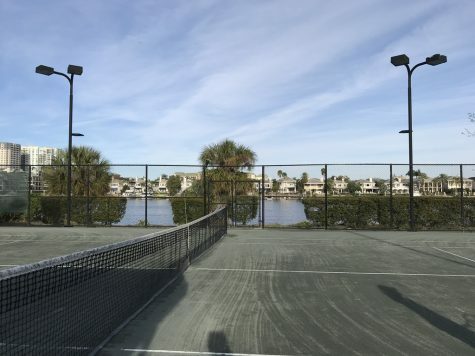 On January 22, because of the availability of several courts, the sets were each six games. However, on January 23, the sets decreased to five games, and on January 24, the sets were out of four games as court access was limited. Bruty commented on how she played this week. 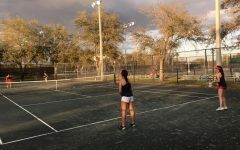 Practice with the official tennis team began Monday, January 28, at 3:30 pm to 5:30 pm. However, practice was held at the AHN tennis courts. Unfortunately, Elizabeth Konefal (‘22) did not make the team, but she positively looks towards next year. 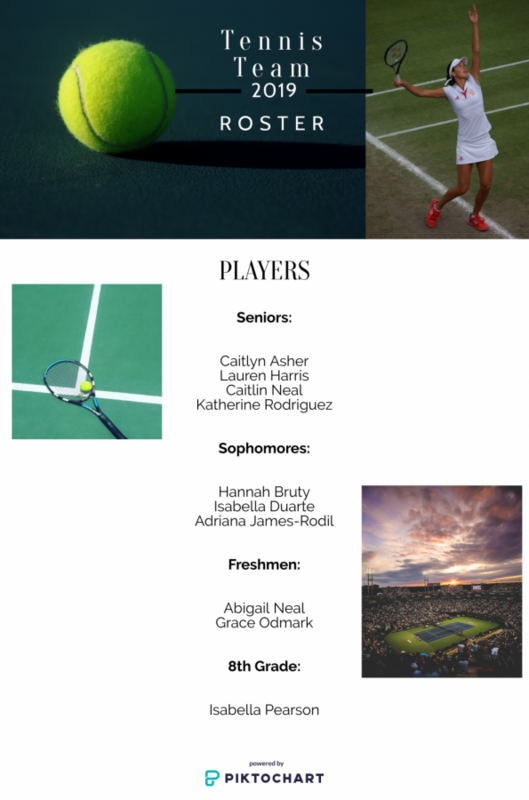 Above is the 2019 tennis team roster, in which there are no juniors on the team.